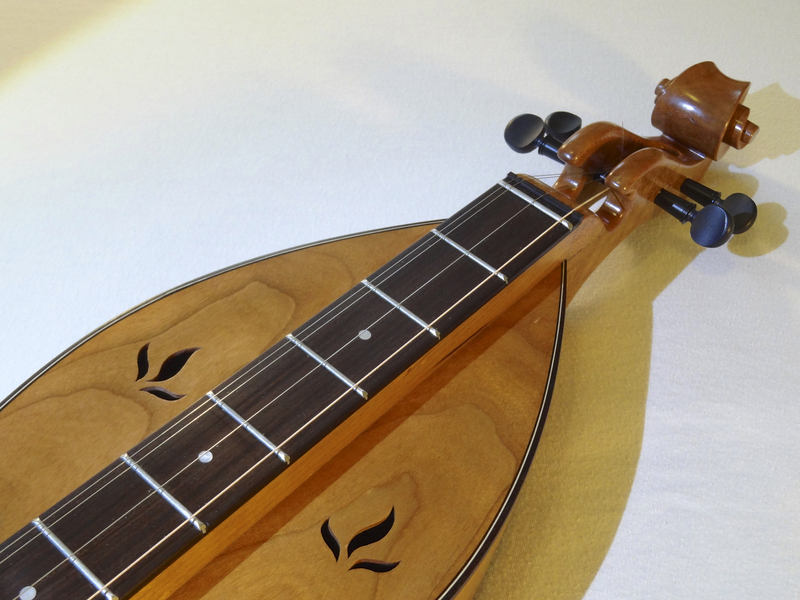 I designed this–and all the other hourglass shaped dulcimers–from scratch. 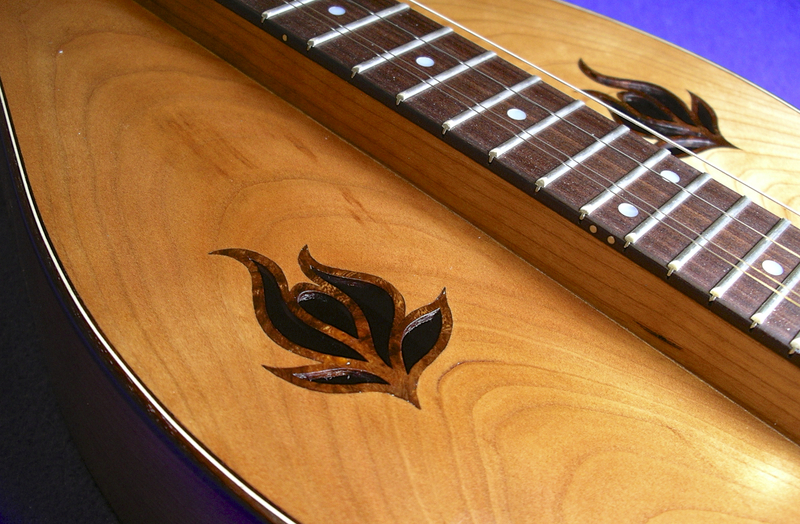 The body is cherry with morado binding & fret board cap. 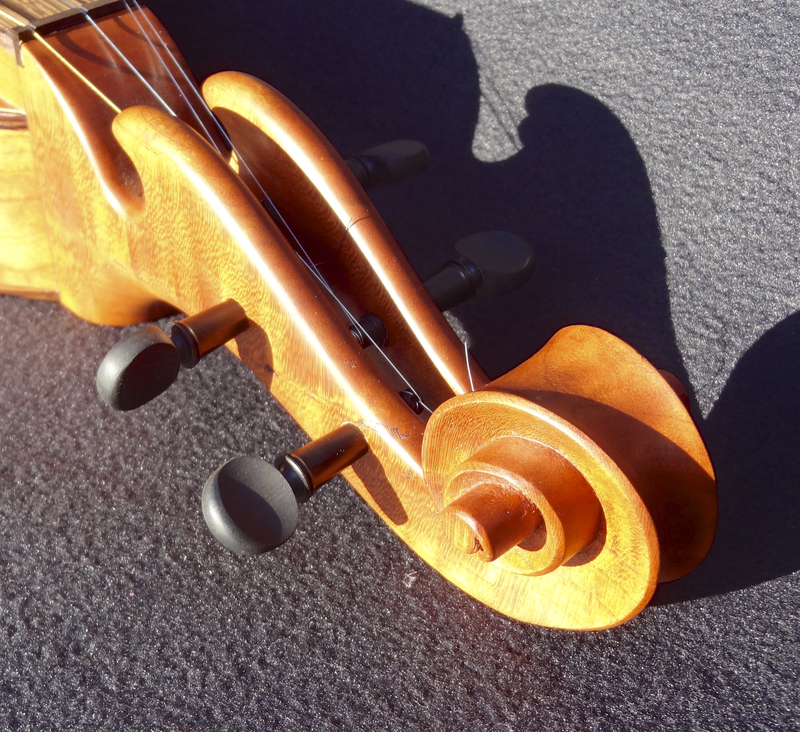 Purfling is holly & morado. The inlayed lotus leaf sound hole design was drawn by Christina and is manzanita burl. 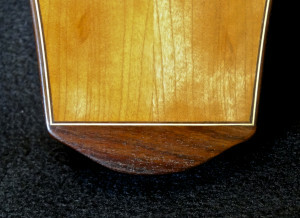 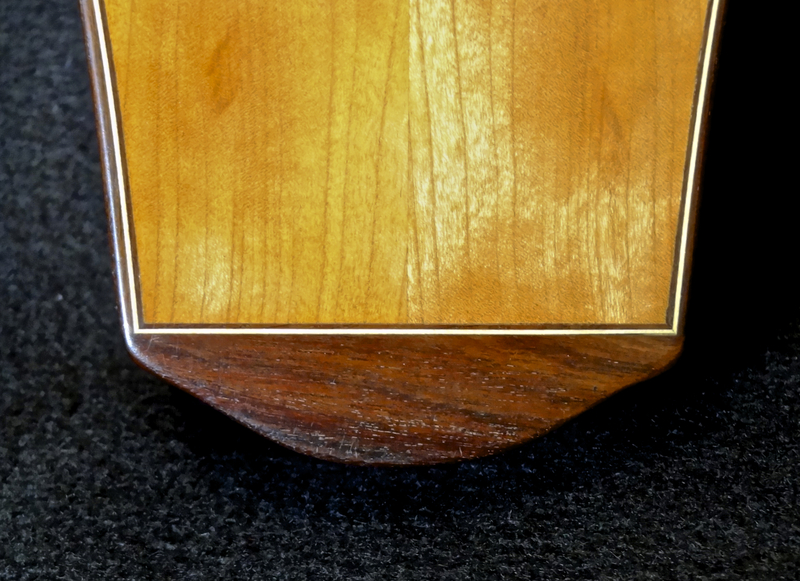 A bit untraditional, this dulcimer has a fully chromatic fret pattern. 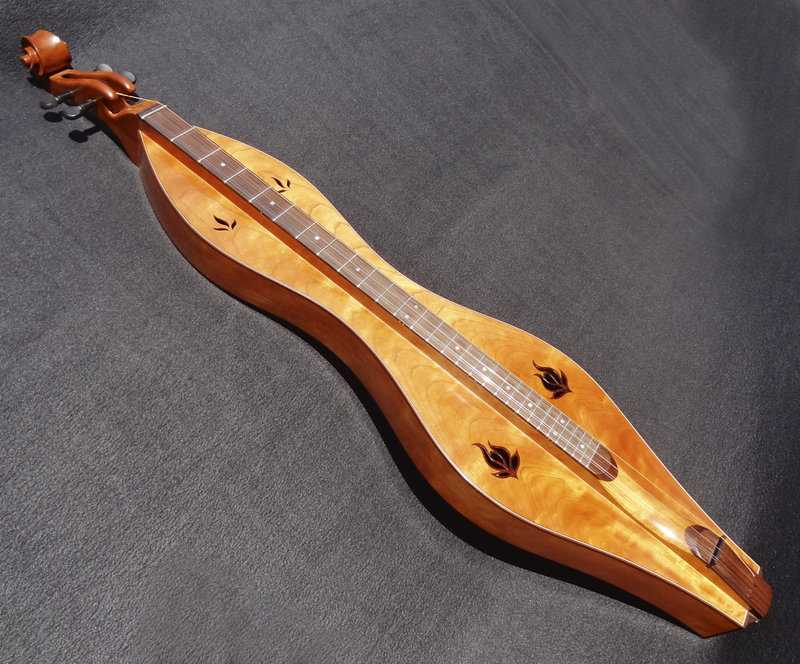 Lucy in the Sky played on this dulcimer-sort of.